Save 10% on the set! 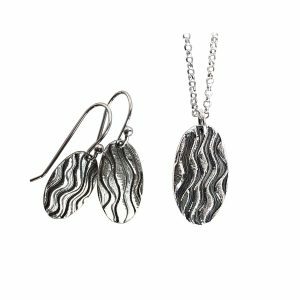 Looking for a simple yet elegant pendant to go with that little black dress you’ve been dying to wear? Or with your favorite casual outfit? 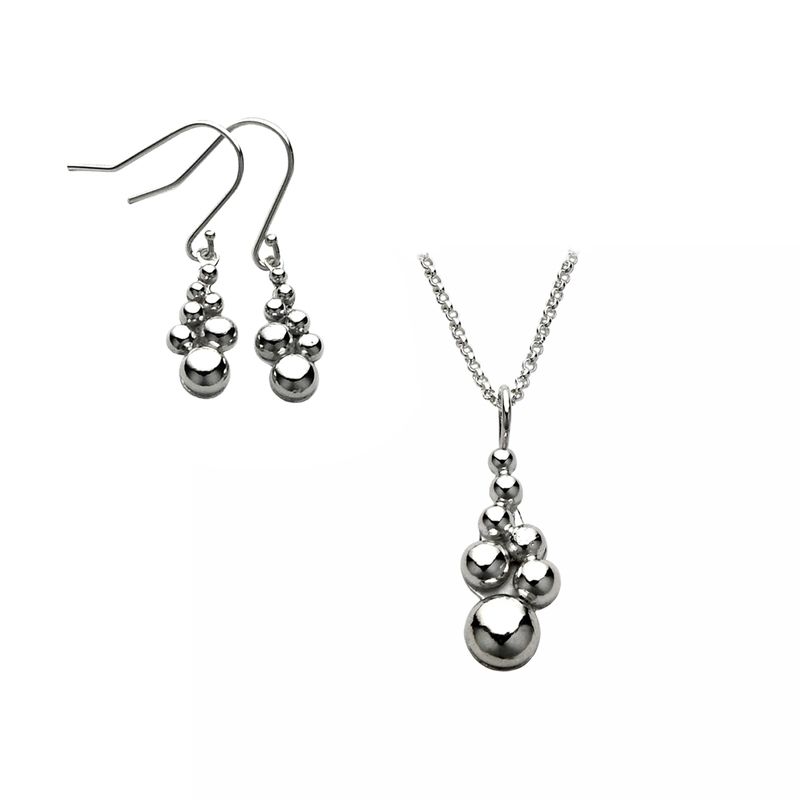 This delightfully fun Silver Bubble Pendant & Earring set is sure to take that off your to-do list! Each bubble is solid sterling or fine silver that I make by melting different sized pieces left over from the main design. They are then cleaned, filed flat on one side, and soldered onto the base. Once the entire piece is completed, it is polished to its final bright polish. Pendant measures 3/8″ wide by 7/8″ long. Earrings measure 5/16″ wide by 3/4″ long.